Iconic, noticeable, and patriotic perfectly describes the Dog Tag. 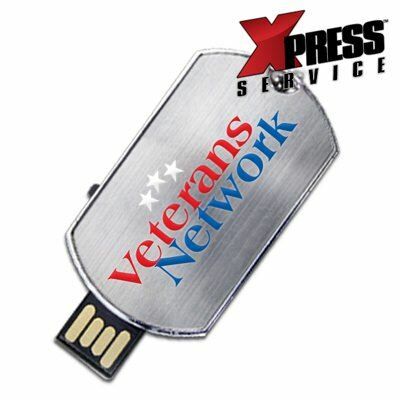 This promotional USB drive offers data storage, corporate advertising, and a sense of national pride. 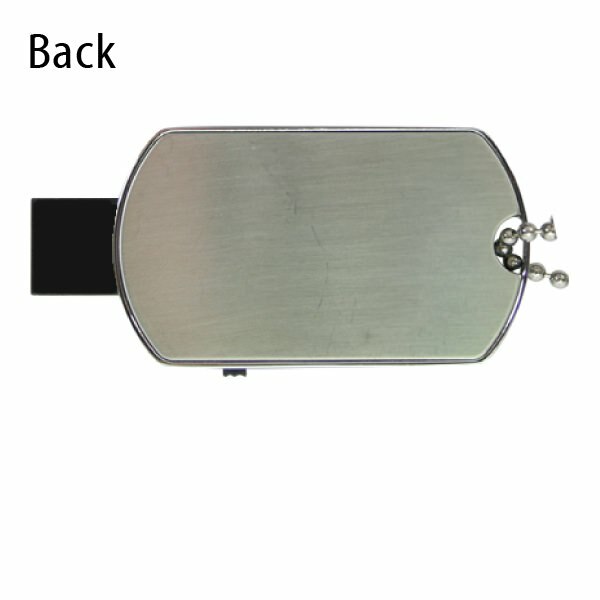 This includes two tags, attached to a metal necklace, with a slide USB connector. 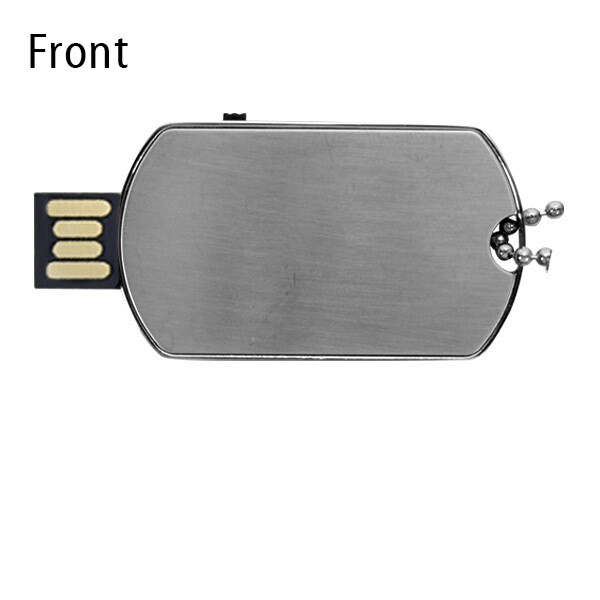 This Dog Tag USB is set apart from your run of the mill promo memory stick by its iconic metal structure, featuring a discreet slide connector, and ornamental value. 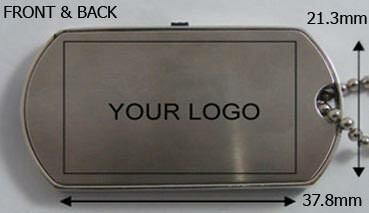 Company logos can be printed or laser engraved, front and back (laser engraving standard turn time only). 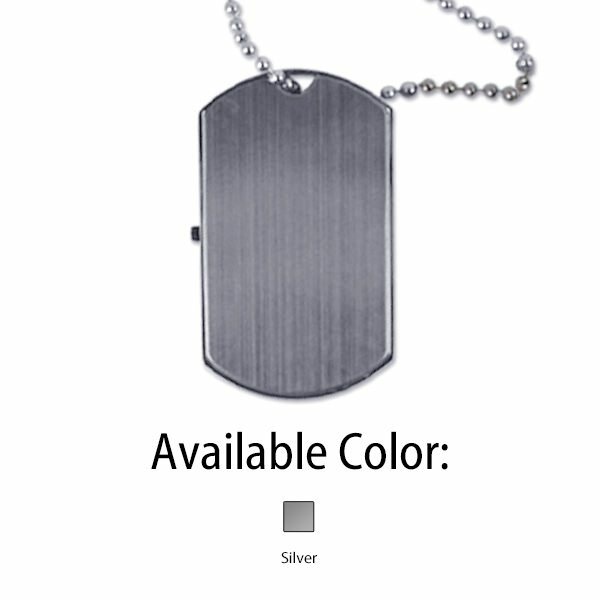 Highly marketable to veterans, military, and soldiers, choose the Dog Tag for your next tradeshow. Enjoy Xpress turn times and ground shipping in the continental US. Wear your data around your neck and honor our troops. Turn Times: Xpress in 1-7 Business Days, Standard in 10 Business Days.